The Department of Homeland Security secretary has announced increased vigilance regarding national security, as well as stepped-up random searches of travelers and carry-on luggage in the wake of the recent terror attacks in Paris. In the announcement made on Monday, Homeland Security Secretary Jeh Johnson said the Federal Protective Services – which provides security for US government buildings – will be expanding its reach to major cities and will vary shifts and patrols from location to location. The Transportation Security Administration (TSA) will also conduct random searches of passengers and carry-on luggage at US airports. “We have no specific, credible intelligence of an attack of the kind in Paris last week being planned by terrorist organizations in this country,” said Johnson in a released statement. Johnson said the US would continue to share information with the French and other allies about terrorist threats, suspicious individuals, and foreign fighters. Last week’s shooting at French satirical newspaper Charlie Hebdo followed a hostage situation in Sydney in December and a gunman’s attack on the Canadian parliament in October – all of which are causing Homeland Security to increase protection. “[The] recent attacks in Paris, Ottawa, Sydney, and elsewhere, along with the recent public calls by terrorist organizations for attacks on Western objectives, including aircraft, military personnel, and government installations and civilian personnel,” Johnson said. Johnson added that the DHS is providing state and local law enforcement with FBI training in incident response. He said he personally met with community leaders in Columbus, Chicago, Minneapolis, Boston, and Los Angeles to engage them in countering violent extremism, and he is looking forward to a White House summit on countering violent extremism on February 18. The enhanced measures by the TSA were reported by CNN to be in response to an article in ‘Inspire’ magazine, a publication by Al-Qaeda in the Arabian Peninsula, which describes how to make homemade bombs using household products. 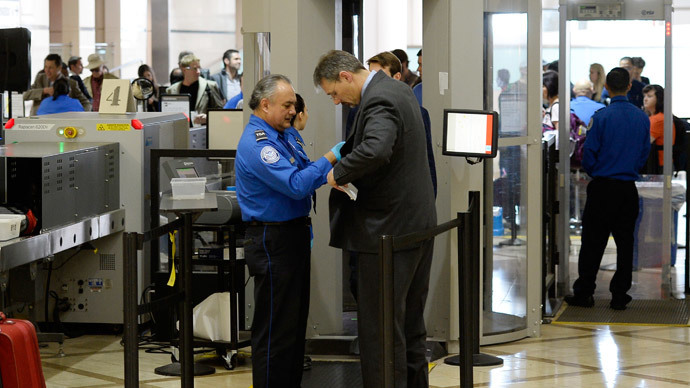 CNN reported that an official said that increased aviation security stems from the threat of non-metallic improvised explosive devices only detectable by full body scanners – a technology that is not available at smaller airports due to cost.